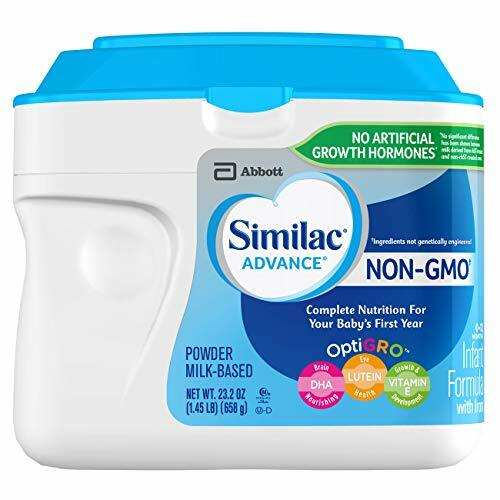 Similac Advance Non-GMO* Infant Formula is the first leading infant formula brand labeled non-GMO with the nourishment you've come to expect from Similac. Our baby formula is a nutritionally complete, milk-based formula featuring OptiGRO, our exclusive blend of DHA, Lutein and Vitamin E to help support your baby's overall growth, brain, eye and immune system development. *Ingredients not genetically engineered.